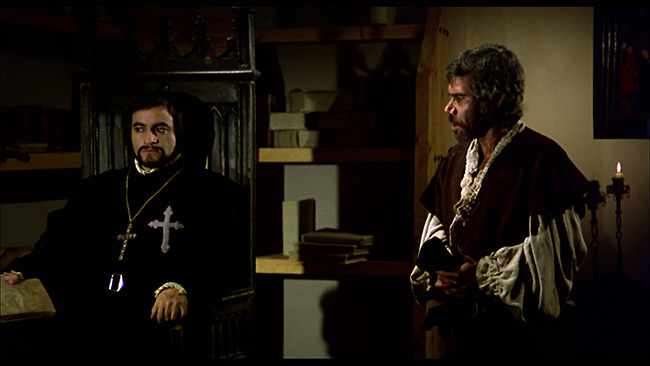 The directorial debut of the late, great Paul Naschy (born Jacinto Molina), Inquisition belongs on the shelf of any horror fan intrigued by pictures like Mark Of The Devil and Witchfinder General. 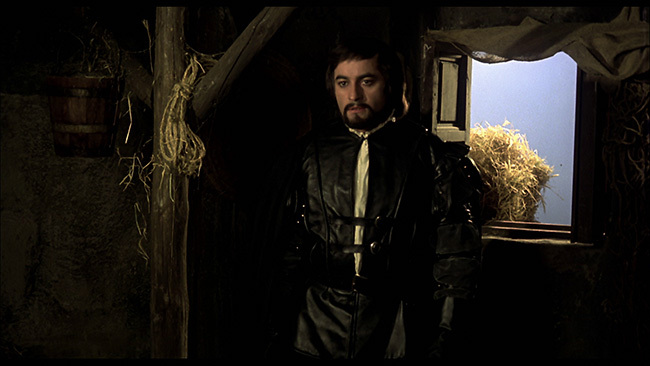 Set in 16th century France, the story revolves around a magistrate named Bernard de Fossey (Paul Naschy) whose mission it is to travel to search the impoverished and destitute of Peyriac to rid the land of witches and Satanists. To say that de Fossey excels at his craft would be an understatement – he takes his work very seriously and is a man of strong convictions, his trusty servant Rénover (Antonio Iranzo) and a few others at his side to see that his work gets done. 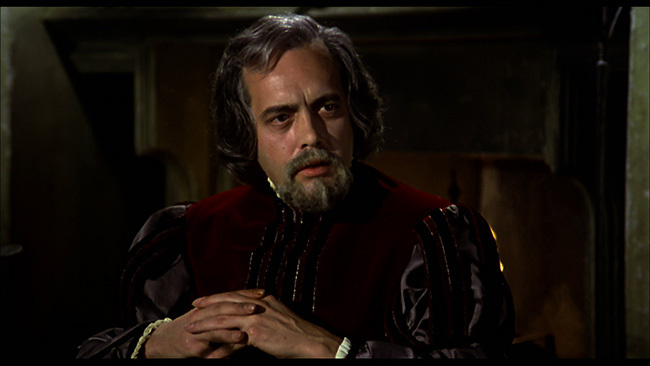 Naschy was, by all accounts, quite concerned with getting the details of his story right. 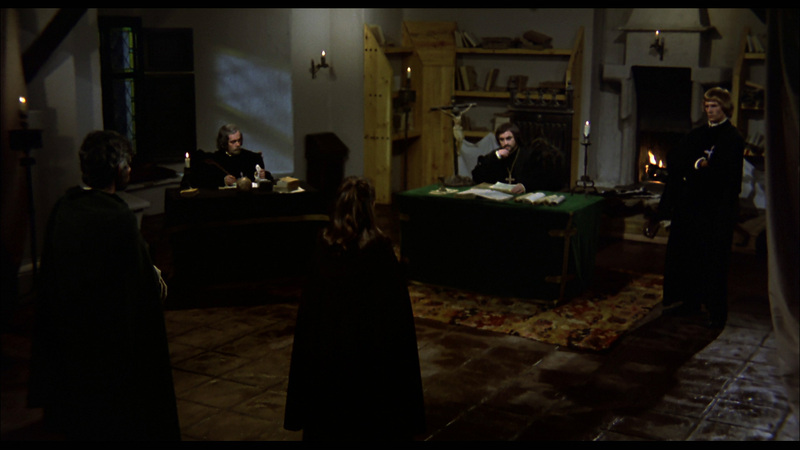 Not only did he do a lot of research into the history of the Inquisition but he also made sure to get as many authentic props, costumes and locations made available for the production. This included acquiring an original copy of the Malleus Maleficarum (an actual Catholic treatise on witchcraft originally penned in the 1400s!) itself from a Spanish library. 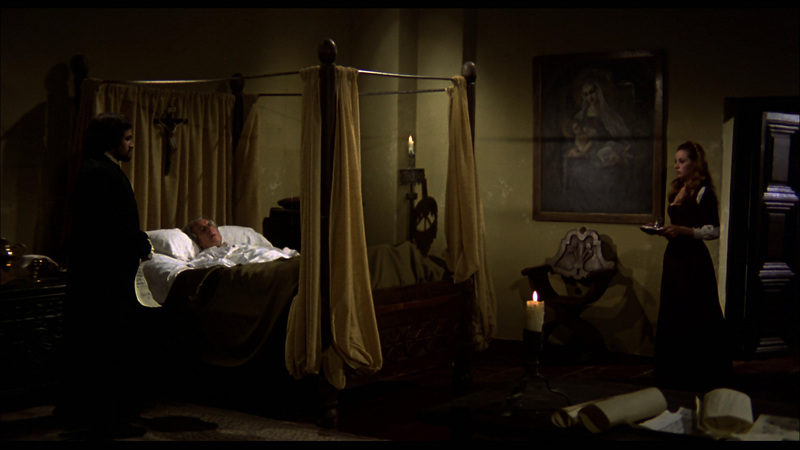 It might seem like a small thing but details like this do give the movie an air of authenticity often lacking in period horror films – it definitely makes a difference. 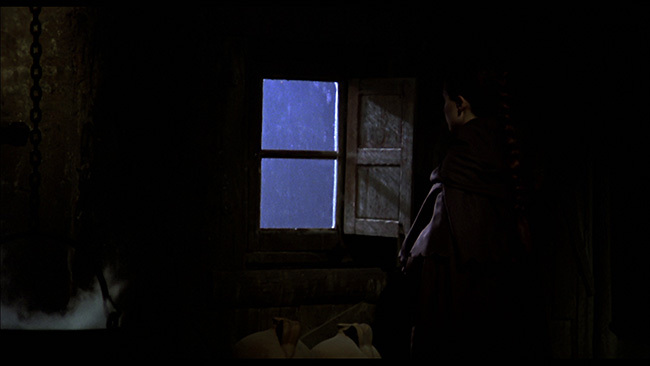 The choice of locations for the shoot also look great, and there was clearly quite a bit of care and thought put into not only the shot compositions but the lighting as well, resulting in a very good looking film, albeit on that is dark not only thematically but often times visually as well. Full points are due for the script as well. Again, Naschy (who, interesting enough, also plays Satan in the film) does fine work, crafting with de Fossey an interesting character, a man much more than a simple monster and a fairly complex person in many ways. While he’s clearly good at his job and committed to the cause no matter how misguided it might be when viewed through a modern eye, he’s not completely evil. He falls for Catherine, we can’t blame him for that as she is quite beguiling, but he truly does believe he is doing God’s work. The road to Hell is paved with good intentions and all of that. At any rate, let it suffice to say that he is a well written and interesting character and so too is he well placed by Naschy (particularly in the Spanish version of the movie). Likewise, Daniela Giordano is more than just another pretty face. Catherine is a catalyst in the film, and therefore a very important character. She plays the part well and she looks great doing it. The film also ends on a surprisingly interesting note. Without wanting to spoil it for those who haven’t yet seen the film, the finale is smart, challenging even. It makes you question who was right and who was wrong and it and the morality of the situation. Underneath the scenes of torture, horror and exploitation there’s a film that deals with faith, politics of the day, and if you dig deep enough, the way in which different social classes and, yes, different sexes were treated. 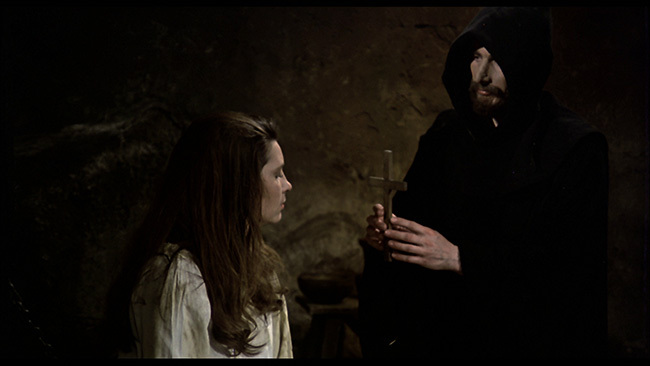 Inquisition arrives on Blu-ray from Mondo Macabro in an AVC encoded 1080p high definition transfer framed at 1.85.1 widescreen. While this surpasses what DVD would be able to provide, it’s also a case of doing the best with what was made available to the label (which, according to online posts, was a ten year old master). Colors look okay if a bit flat throughout and black levels are fine but there’s a distinct lack of noticeable film grain here and it looks like some noise reduction was employed at some point in an attempt to smooth things out. Given the label’s track record (which is excellent) this probably happened before it made it into their hands but regardless, the end result is less than ideal, even if it is perfectly watchable. It’s also worth pointing out how clean the picture looks, there’s very little print damage here. LPCM Mono options are provided in English and Spanish with optional subtitles provide for the Spanish track (and these are proper subtitles, not dubtitles). 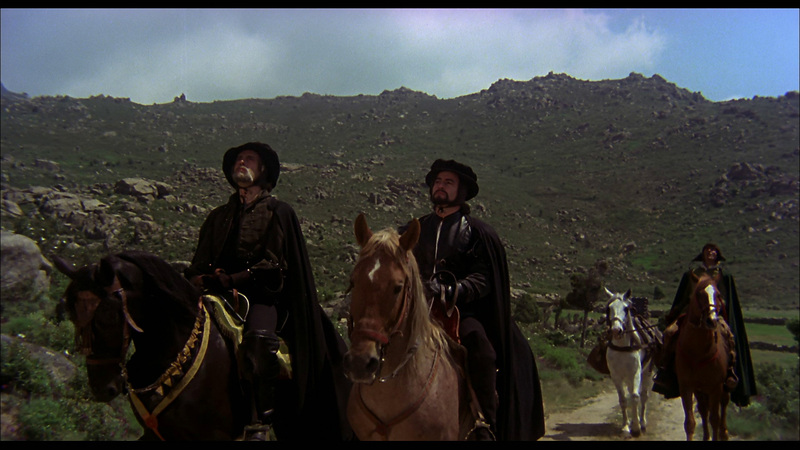 Both tracks sound fine but the Spanish track definitely suits the tone of the movie better. There’s nothing specifically wrong with the English dub per se but the lip movements match better on the Spanish track. The two tracks are also fairly different, with the Spanish language option playing out with a darker, more serious tone. Extras on the disc are strong, starting with an exclusive audio commentary from Rod Barnett and Troy Guinn (the two men behind the Spanish horror themed podcast The Naschycast). Lots of good information here, with plenty of details offered up not only about Naschy and his role in front of and behind the camera, but the supporting cast too. 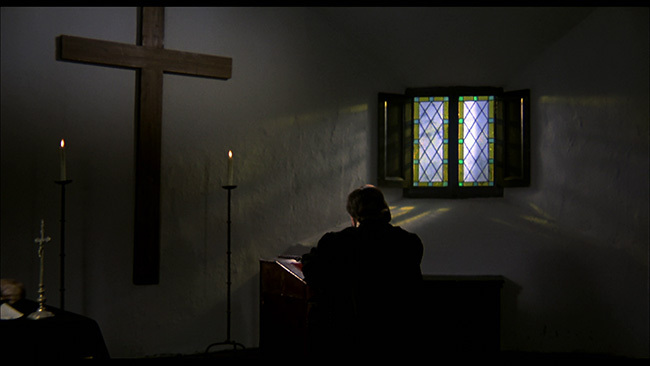 They also lend some welcome insight into the script and what could have inspired it, the authenticity of the props and locations used for the film and plenty more. Although these guys have a sense of humor inherent in their delivery, they play things straight enough that this never comes off as a joke track – in fact, it’s pretty interesting and informative. 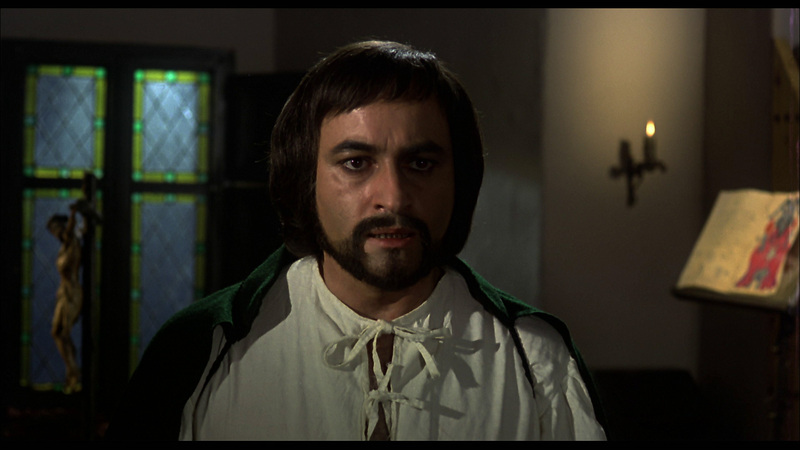 Also included is an archival interview with Paul Naschy that runs fourteen minutes in length. Here he talks about the cast and crew that he worked with on the feature, what he tried to bring to the project as a director and the research that he undertook while writing the story in an effort to bring some historical accuracy to the screen. Naschy also provides a quick optional introduction to the feature. An archival interview with star Daniela Giordano is also included here, running twenty-four minutes in length. She’s got some interesting stories to tell about how she got into acting, being cast as the female lead in this picture, her thoughts on the film itself, how the movie fared at the box office in different parts of Europe and more. 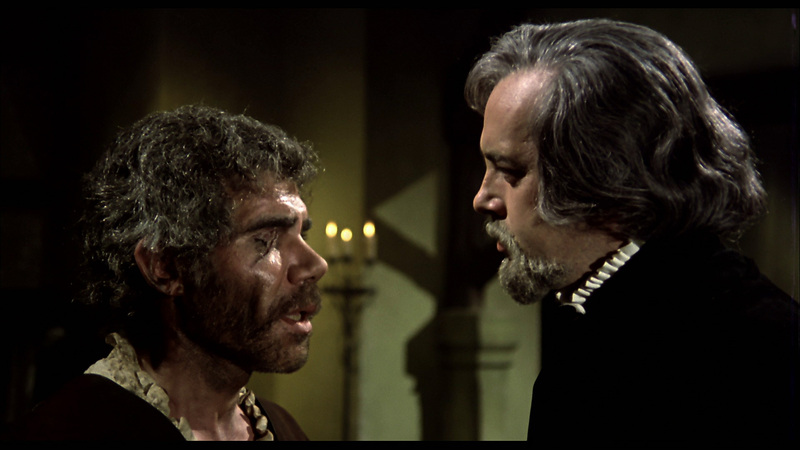 Mondo Macabro has also included Blood And Sand, the Spanish horror centered episode of the Eurotika! TV series that they were involved with years ago. For those who haven’t seen it, it’s a pretty interesting look back at the boom years of genre filmmaking in Spain made up of plenty of clips from different films as well as interview segments with Amando de Ossorio, José Ramón Larraz, Jorge Grau, Orchidea de Santis and of course, Naschy himself. It’s pretty interesting stuff and a lot of fun too – a great inclusion for this release. Rounding out the extras are the omnipresent Mondo Macabro promo reel, menus and chapter selection. Inquisition is a really solid picture, one of Naschy’s best. It’s well directed, really nicely photographed and it clearly set out to create a film that works both as a horror picture and a thought provoking piece of cinema. Mondo Macabro’s presentation doesn’t serve as home theater demo material but it does present the film uncut and with a nice selection of extra features to complement the feature attraction. Nice review Ian. I hope my copy arrives soon. It's been so long since I've last seen this film and am looking forward to it. It really is one of Naschy's best films. Nice review, Ian. I love this film; I'm really looking forwards to getting my sticky mitts on the Blu-ray release.